At 14, Jacquelyn Chan became the first Sarawakian to bring home a gold for Malaysia during the XIX Jakarta SEA Games in 1997. She won for synchronised swimming, a sport she said taught her discipline, strength and versatility. “We had to wake up at 4am for training, and you have to have skills of a few disciplines for this sport. Firstly you need to be a strong swimmer, be flexible like a gymnast and grace like a ballerina to do those moves and you have to make it look effortless through it all,” said Chan, who is now the COO and co-founder of The Hip and Happening Group, Singapore, which runs budget accommodation of hostels and hotel under the brand Rucksack Inn and now expanding into themed-hotels and adventure experiences under the brand The Rucksack. Chan wasn’t just content to be a star in the water though, she wanted to fly the skies as well and her first job in travel was as a Singapore Airlines stewardess. It wasn’t all fun though. The hardest part was waking up early in the morning to get dressed up and dolled up for work, which often took an hour or more. “I loved the longhaul flights though, took me to places I had always dreamt of,” she said. Chan was speaking on stage at Tern, the first travel careers event, organized by travel editor Yeoh Siew Hoon, and held at the Novotel Clarke Quay on August 27. The one-day conference is aimed at inspiring young people to join travel and to keep travel professionals fresh, relevant and motivated to have long and enriching careers in the industry. Her next job was an unexpected twist – she took a marketing communications job in an audit firm because she feared she may become irrelevant if she flew for too long. “I am a very risk-averse person and I wanted to know that I was still employable in the corporate world,” she said. 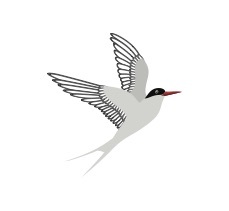 After a high-flying job, the new job was a bit of a come-down-to-earth experience for the young executive. It was during that period when she was clearly seeking more excitement that she went to a dance party at Port Dickson, Malaysia, and ran into Samantha Chan, who eventually persuaded her to join her company as co-founder and COO, The Hip and Happening Group. 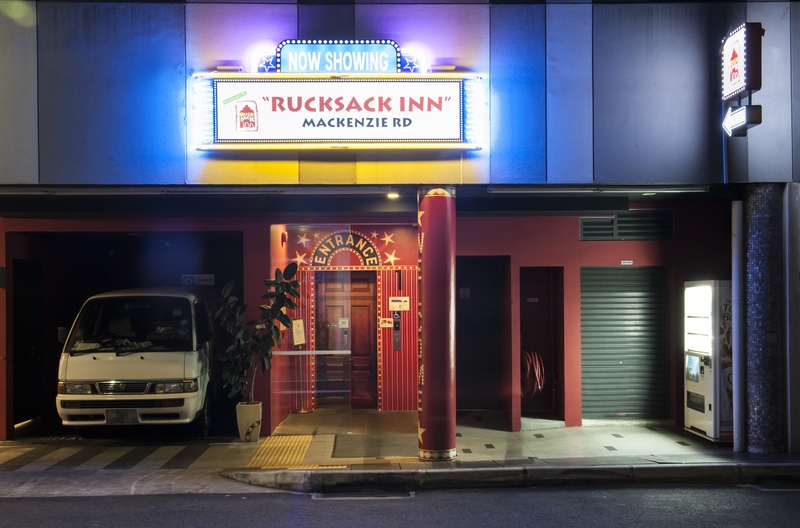 Between the two of them, they have truly created a hip and happening business – in 2009, they opened their first Rucksack Inn at Hong Kong Street (38 beds) and the year after, they expanded by renting another unit and became one of the pioneers of the backpacker culture in Singapore. In two years they had grown to a 220-bed hostel chain. Which she did. The grand prize was S$100,000 of which $70,000 was in cash and the balance in skills and development courses. 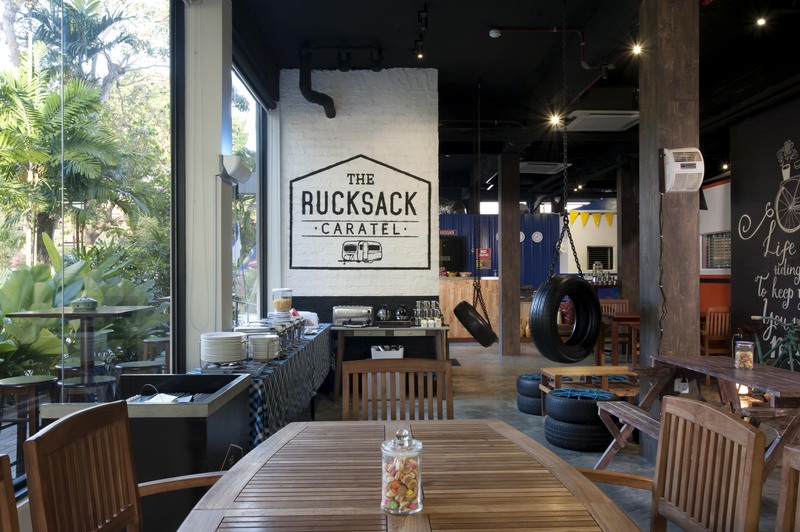 From there, they opened Rucksack Inns across Singapore and recently The Hip and Happening Group took over an existing budget hotel, moving up the scale of customer needs. The group is now managing hostels, hotels and an outdoor adventure business in Singapore and Malaysia. Its property outside Singapore is Malacca “because we couldn’t afford anything in Singapore and we saw the potential in expanding our footprints regionally”, said Chan. Called The Rucksack Caratel, it’s themed as a caravan park hotel and offers interesting communal spaces for its young customers – such as the pool, caravan park, cafe and the sound stage. While Chan reiterated her aversion to risk in her career choices during the talk at Tern, it is clear her approach of taking calculated risks and combining that with discipline and resourcefulness has taken her far.